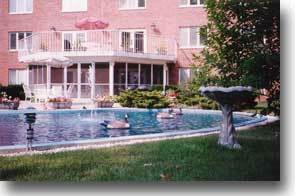 Hearthstone Communities is a nursing home facility located in Woodstock, IL 60098. Nursing home facilities are for elderly people with chronic health conditions or injuries that require long-term care, constant monitoring and 24-hour-a-day availability of doctors, nurses and health care aides. Very disappointed with Hearthstone Memory Care. They accepted my husband on Medicare and when that was no longer available I asked to transfer him to Memory Care. After a week they did an involuntary transfer to Alexian Brothers Behavioral Center. They didn't even speak with the doctor there but called me to say they were giving me a thirty day notice that they did not want to take him back. The doctor at Alexian Brothers said he was doing well after medication adjustments and did not exhibit any behaviors not common to Alzheimer's. Now I have to start all over to find new placement for him. I also had to pick up belongings that were not transferred with him. I don't think they are used to having men there and only want patients that are docile and compliant. Ironically they don't want to deal with the problems caused by Alzheimer's disease. They are also very expensive, $7619/month for private care.